Business Today is India’s leading fortnightly business news magazine published by Living Media India Limited. The magazine belongs to the India Today Group and was first published in 1992. 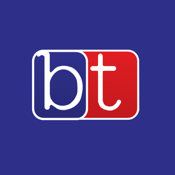 The Business Today application allows users to view up-to-date news articles, magazine stories, images, videos and stock updates served through the India Today Network. The app consists of business news & articles, stock updates, business analysis and videos.